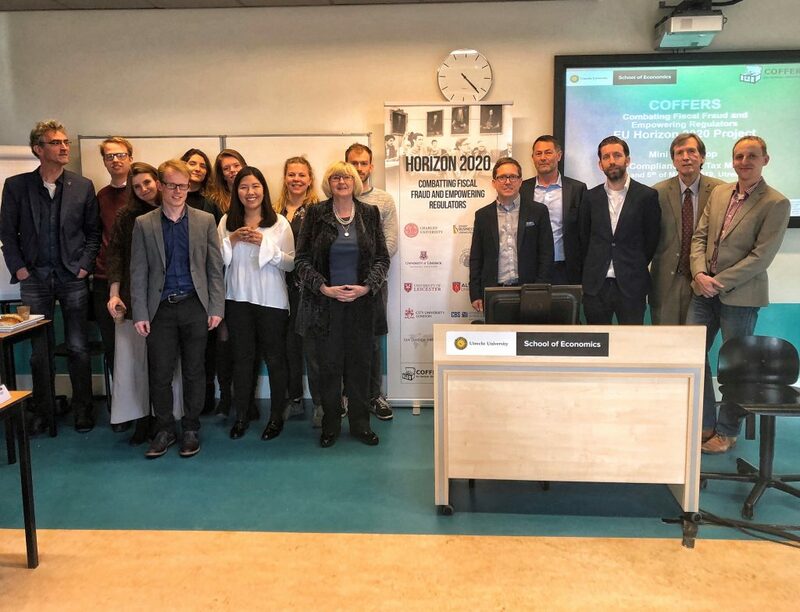 On March 4 and 5, 2019, COFFERS project leader Brigitte Unger organized a workshop on tax morale and compliance, and welcomed at Utrecht University two well renowned professors in the field of tax evasion, economist James Alm and psychologist Erich Kirchler. On the first day of this workshop, after an introduction to the project, the topics of tax behavior and tax morale were introduced, and the rationale behind tax evasion and avoidance were discussed. This led to a stimulating debate on the causes that bring people to cheat and on the impact that social networks might have on tax evasion. On the second day, prof. James Alm from Tulane University and prof. Erich Kirchler from the University of Vienna, gave a public lecture targeting the external factors that influence people’s behavior in paying their taxes. Prof. Alm focused on the relationship between technology and tax compliance, illustrating the motivations of individuals in deciding not to pay their legally due tax obligations and providing an interesting insight on what cashless societies could mean for the future of tax related matters. Consequently, prof. Kirchler presented the interactions between power and trust of tax authorities, explaining that both factors are fundamental to understand voluntary and enforced tax compliance. Through this lecture, the cultural as well as normative elements that lead people to pay or avoid taxes were discussed, and the audience was given a deeper understanding on tax evasion and tax compliance.